Welcome to AVCS ! 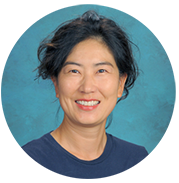 My name is Jasmine Woo, PDSO and Director of International Department at Aliso Viejo Christian School. Having the background of raised in an English as second language family, I understand the fundamental needs of international students. I am excited to be starting my sixth year assisting international students in overall aspects for their well being while staying in the U.S. to study. It has been my long goal to share my expertise at Aliso Viejo Christian School to contribute my know-how in educating students from overseas. As shown in the photo, my international student Kyle who graduated at AVCS is graduating high school this year and Andrew on the right went to college in New York this year. It is a great blessing to watch our international students grow and walk to direct his own steps. My favorite Bible verse, Lord, your Word says that those of us who love Your law will have great peace and nothing will cause us to stumble (Psalm 119:165). Enable me to live in obedience to each part of it so that I will not stumble and fall. Help me to obey You so that I can dwell in the confidence and peace of knowing I am living Your way.